CarMax Inc. and two other major car dealers have admitted they sold used cars with unrepaired safety recalls despite touting the supposed rigor with which they inspect cars before selling them. The dealers have settled Federal Trade Commission (FTC) charges by agreeing to a consent order saying they won't do it again, but Congresswoman Jan Schakowsky (D-Ill.) says she's disappointed with the decision. Schakowsky is sponsoring a bill that would ban the practice. Besides Virginia-based CarMax, the case involved Asbury Automotive Group of Georgia and West-Herr Automotive, the largest auto dealer in New York. The commission also approved final consent orders in similar cases against General Motors Company, Jim Koons Management, and Lithia Motors Inc. that were settled earlier this year. In their defense, car dealers say it can take months to get the parts needed to perform a recall and they can't afford to let cars sit on their lots that long. Just last week, AutoNation backed down on its pledge to fix all outstanding recalls before selling cars to customers, apparently based on an assumption that President-elect Trump will not pursue the matter. Despite highlighting their inspections, the FTC alleges that CarMax failed to adequately disclose that some of the cars had open recalls. These recalls included defects that could cause serious injury, including the GM key ignition switch defect and the Takata airbag defect. The other dealers made similar unfounded claims, the FTC said. 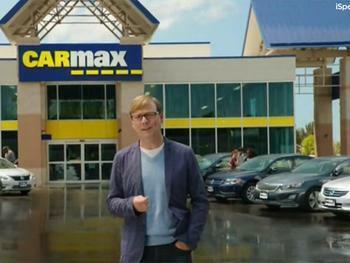 Under the proposed consent orders, CarMax, Asbury, and West-Herr are prohibited from claiming that their used vehicles are safe, have been repaired for safety issues, or have been subject to an inspection for safety-related issues, unless they are free of open recalls, or the companies clearly and conspicuously disclose that their vehicles may be subject to unrepaired recalls for safety issues and explain how consumers can determine whether a vehicle is subject to a recall for a safety issue that has not been repaired, and the claims are not otherwise misleading. The proposed orders also would prohibit the companies from misrepresenting whether there is or is not an open recall for safety issues for any used motor vehicle. Which cars have the fewest 'check engine' light incidents?